... are provided to residents at Child and Youth Care Centres and compliance to professional and ethical practice. This post is based in De Novo. There are 126 Youth job opportunities in South Africa available immediately, compared to 53 in Gauteng. Companies presently offering Youth job opportunities in South Africa include Clicks, Famous Brands, Vox Telecom.. The standard deviation of salaries for the results of this search is 185,182. 12 new job listings for this search have been found in the last calendar day, compared with 28 in the last 72 hours and 36 in the last week. 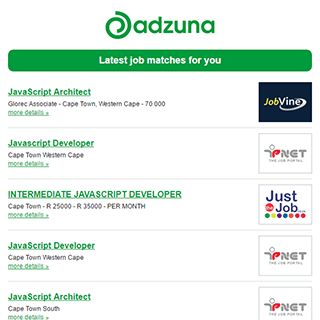 Get the latest Youth Jobs in South Africa delivered straight to your inbox!